Kenneth Walter Scott - Edmonton's Burial & Cremation Professionals | Trinity Funeral Home Ltd.
Dad was born at home on the farm straight east of Macklin Lake, SK. When his remains are placed in the Scott family plot, he will have come full circle, ending up just across the road from where he started. Dad attended Macklin school which burnt down when he was to begin Grade 12. That meant he had to wait a year before he finished. During that year, the California uncle who was going to pay his university tuition died, ending Dad’s post-secondary dreams and changing the course of his life. As it was the depression, Dad worked wherever he could, including riding freight trains to southern Manitoba to work for $1.00/day pitching bundles. At the age of 20, Dad became a partner with Bill Hillis in a GM, International and John Deere dealership. The two also began a farming operation together. In 1941, he joined the Canadian Air Force and completed his pilot’s training but was sidelined by a serious illness. He married Mary Paulson in 1943 and they continued to live in Macklin until 1950 when they moved to the so-called ‘north’ farm for a summer and then to the farm now owned by the Chev Hillis family. He and Mary and their five children moved to Edmonton in 1960 and in 1961, their youngest child John was born. Thereafter there were several moves until they came to Wetaskiwin in 1980. There they stayed for 36 years where they were the mainstay of their own family members and a loving help to many others. Dad retained his good mind, his sense of humor, his loving kindness and his beautiful manners right to the end, but now he’s gone to heaven, leaving a great hole in our midst. Our family is so very thankful for the staff on Station 51 of the Grey Nuns Hospital as they made Dad’s last days as peaceful and comfortable as possible. Dad is survived by his beloved wife of 75 years, Mary: his children Leslie (Byron) Lauber; Dave (Colleen); Marilyn (Dennis) Huebert; Susan McOrmond; Bill (Bernie); John (Betty): as well as the other 49 of us. 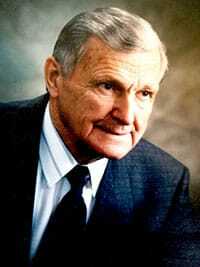 He was predeceased by his son-in-law, Jerry McOrmond, in 2002. A service of remembrance will be held at 2:00 pm, Thursday, October 25, 2018 at the Wetaskiwin Mission Church, 3610-56 Ave, Wetaskiwin, AB.